The U.S. Department of Transportation Federal Highway Administration reports that 23 percent of all car crashes are weather-related. Further, the administration notes that a car accident in snow, ice and other precipitation accounts for roughly 6,250 deaths every year. When there is precipitation on the road, experts suggest that drivers avoid getting behind the wheel altogether. If traffic is necessary, motorists should accelerate and decelerate slowly and leave plenty of time to reach their final destination. Drivers should never power up hills, because laying on the gas could cause wheels to spin. Similarly, stopping on a hill should be avoided because it may be difficult to get moving again. In times of extreme weather, the Illinois Department of Transportation or other local entity may put up signs warning motorists of poor road conditions or new traffic routes. Roads are often closed during inclement weather due to accidents or driving hazards. 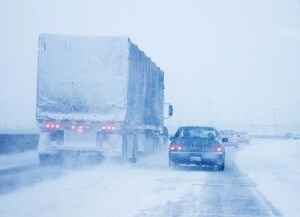 The American Automobile Association recommends watching weather reports or checking in with the transportation department before getting on the road. Pay attention to any new traffic signs or patterns to avoid a crash and injury. As any Chicago car accident attorney has seen, defensive driving is perhaps the most important thing motorists can do during bad weather. While some people living in Chicago may be used to navigating roads covered in snow, there are many people who do not know how to travel safely. The AAA suggests keeping a safe distance from other people on the road. Additionally, drivers should remain aware of any vehicles around them at all times. If visibility is poor, it is best to pull over until conditions improve. It is important give snow plows plenty of room to do their jobs. According to the Illinois Tollway, plows move at an average speed of 30 miles per hour, which can cause significant traffic delays. Passing one of these large vehicles could result in damage to a car, hitting the plow or even running off the road. Unfortunately, not everyone will be able to stay home when snow and ice cover the roads. Drivers who watch out for these items and drive accordingly are doing their part to stay safe. Anyone with questions regarding this topic should consult with a Chicago car accident attorney.